There have been almost £54,000 of vandalism repairs carried out. 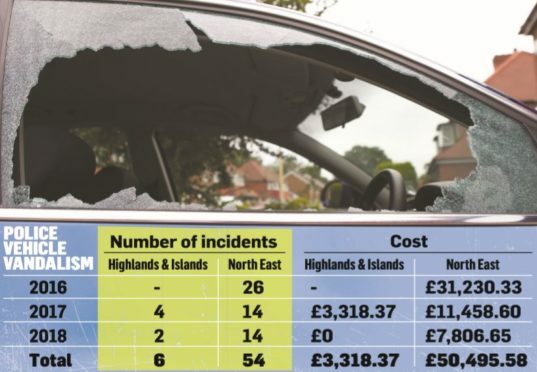 The shock new figures reveal that one vehicle cost the force £6,500 in damages after it was targeted by vandals at three different locations in Bucksburn between December 2017 and July 2018. The costliest incident across the north and north-east was in Peterhead in 2016, when police were hit with a bill of more than £7,000 following an incident at oil firm Asco’s supply base at South Base Road. Across Grampian and the Highlands and Islands there were 60 incidents in total between 2016-18, at a cost of £53,815 to the taxpayer. Meanwhile in neighbouring Tayside there were 24 incidents costing more than £29,000 during the same period. Several of the incidents took place in police station car parks. 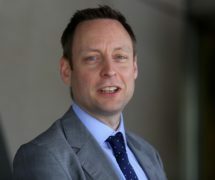 Liam Kerr, shadow justice secretary for the Tories and a north-east MSP, said: “I think people will be shocked to read about the extent of this problem. “Police officers should be able to go about their business without fear that their vehicles will be vandalised. During 2017-17, the wider repair for all damages to the force’s fleet was about £150,000. More than £150,000 of repairs have been carried out on police cars over the past year, with some damage caused by vandals. Most of the incidents were deliberate, including dents, scratches and scrapes, while about £20,000 was caused by officers themselves through accidents. Superintendent Richard Craig said: “Police vehicles are an important resource to enable our officers to provide a 24-hour service to our communities. “Vandalism to police vehicles will not be tolerated. Every incident will be thoroughly investigated and where evidence exists the person or people responsible will be reported to the appropriate authority.